Status is a powerful motivator in social systems. People go crazy over their follower counts on Twitter, or number of friends or business contacts in Facebook and LinkedIn. So it makes sense that social status can be leveraged for social good. 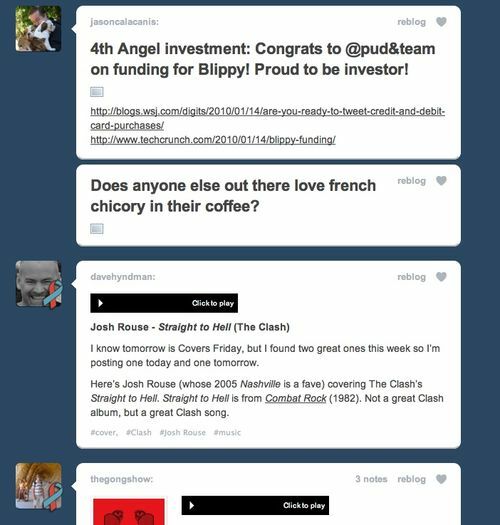 Yesterday I logged into my Tumblr dashboard and saw this set of posts from my friends Jason and Dave, and my colleague Andrew. You'll note that Dave and Andrew's avatars have a ribbon on them. I thought "well how the hell do I get one of those?" And then I noticed at the top of my dashboard, the Tumblr logo had one of the ribbons next to it. So I clicked on the ribbon and it took me to Tumblr.com/Haiti where I was presented with this choice of charities to support. I chose Doctors Without Borders because my daughter Emily is a big fan of their work and gave a donation. After I did that my avatar got a ribbon on it as you can see in the image above. I don't know how many Tumblr users got ribbons yesterday but it could be a lot. Tumblr has millions of users. Even if only 5 or 10% of them did what I did yesterday, that could be hundreds of thousands of donations. Maybe Tumblr will post about this at some point. I'd certainly be interested to know how well this works. Zynga will run a special relief campaign in three of its top games that reach over 40 million users daily. 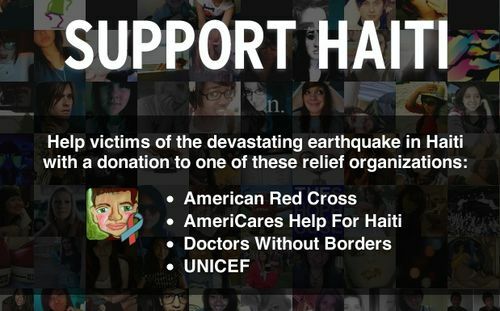 Users can purchase limited edition social goods in FarmVille, Mafia Wars and Zynga Poker, and 100 percent of the proceeds will go towards supporting emergency aid in Haiti. Social services like Zynga and Tumblr reach millions of people every day. And they have powerful status driven systems that can drive users to do good things. That's a big deal when something awful like the earthquake in Haiti happens. Disclosure: Tumblr and Zynga are both Union Square Ventures portfolio companies.